Disclaimer: Savings not valid on individual items, Gris cookware must be purchased in a specified set for discount. Offers valid April 1 - 30, 2019 at Le Cresuet Outlet Stores in the continental U.S. Not valid with other offers. 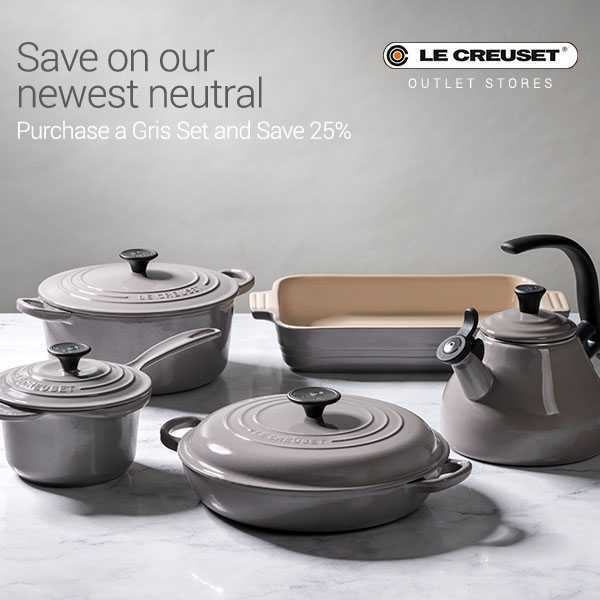 Gris may not be available at Le Creuset Clearance stores.